Dogs have always been considered to be man’s best friend. Well these dogs may be loyal and friendly their appearances are something to contend with. These dogs are ones that you are not likely to see every day but if you do, you will not soon forget them when you do. If you want a unique pet that is as loyal and friendly and a dog, then one of these dogs may be just what you are looking for. This sweet little dog has earned itself the nickname of Monkey Dog because it has a very primate like appearance and personality. It has a terrier body, shaggy fur and squashed in face give it a rather unique look. Even stranger is the fact that the hair is thicker and shaggier around the chest and shoulders than it is around the hind quarters, creating a look that resembles that of a mane. The most common color is black but silver, gray, red, tan and belge (mixture of red, black and white hairs) are other possible colors. This dog has a name that is even stranger than its appearance. The name is pronounced Sho-lo-eets-quint-lee but if that becomes too challenging this dog is also known as the Mexican hairless. These dogs have had a long and unique history in Mexico and they were even considered sacred by the Aztecs. 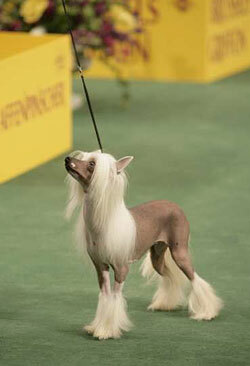 The ancient Aztecs believe that these dogs were needed to help guide the souls of their masters into the underworld. 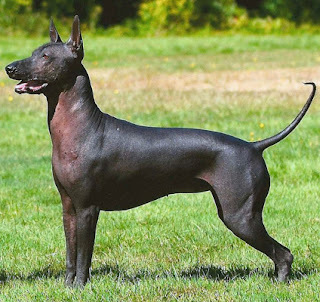 What makes this dog stand out is not only the fact that it is hairless but also because it has a long neck, bat ears, almond eyes and a sleek body. 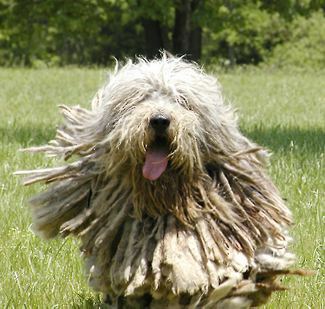 While there are a few different dread-locked breeds this is one of the more popular and unique breeds. 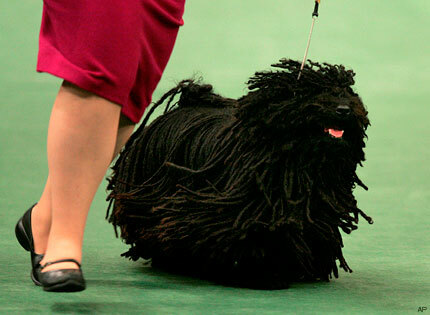 The Puli has dreads which are called cords and they start to form when they are 9 month old puppies. This dog requires very demanding dog grooming as they cords have to be separated to prevent excess matting from occurring. Despite the fact that their coat looks heavy and cumbersome, these dogs are actually very light and agile. 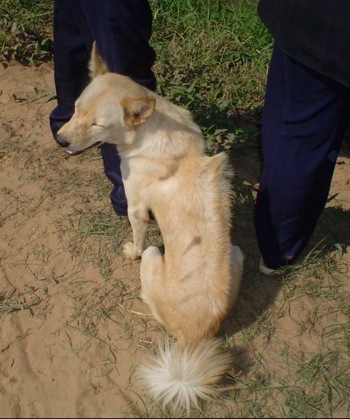 This dog may look normal at times but it is known for its rather large and unique razor down his back. These are actually tropical dogs but they have a long coat, which is not common for a dog that lives in these warm areas. But this dog does not seem to overheat and they can be found all over Cambodia. This is a very territorial dogs but they do not bark unless there is a real need for them. While they can be very friendly and loving dogs they are not for the first time dog owner. 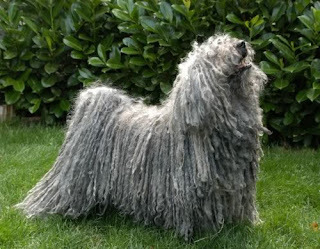 This is another dread-locked dog that has a very unique look but this dog does not have dreadlocks in the form of cords but rather in what is known as a felt. Their coat has three different types of hair which is very thick and easily mats. The mats start from the spine and go down the flanks. These dogs are actually born with short, smooth fur which eventually mats in this unique way as the dog grows. This dog may not look entirely strange but it is a very unique dog. 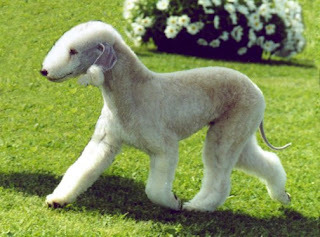 This breed has very curly, thick and woolly hair that is even considered to be hypoallergenic. But what really makes this dog stand out is that it is the first known dog with the ability to search for truffles. Typically this was the job of pigs but now this fluffy purebred dog can take over that job. The Lagotto Romagnolo is also a great companion dog for just about anyone. This dog has the appearance of a large dog in a much smaller package. It has often been referred to as the Little Lion Dog, the rarest dog in the world and the most expensive dog in the world. This anywhere from seven inches to thirteen inches high and has a long and wavy coat. This dog has no undercoat and the hair should never curl. These are very friendly and intelligent dogs so they make great pets, if you are able to find an afford one. This sweet little dog looks just like a lamb but has the countenance of a sweet and friendly dog. They have pear shaped heads, triangular ears and fur that looks like the curly hair of the sheep. This dog was actually bred as a fighter, which may seem strange compared to his docile appearance. 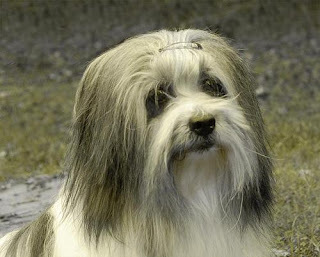 The terrier is groomed with longer fur on the head and legs with shorter fur on the torso. The reason for this is that the dogs used to hunt vermin and the longer fur prevented the animals from hurting the dog. This dog is given a very strange appearance because of the amount of loose skin that folds over their face. They have these wrinkles all over their body but they are most prominent on the face and head. These wrinkles actually involve extra care as owners need to clean in-between the folds in order to prevent acne and infection. 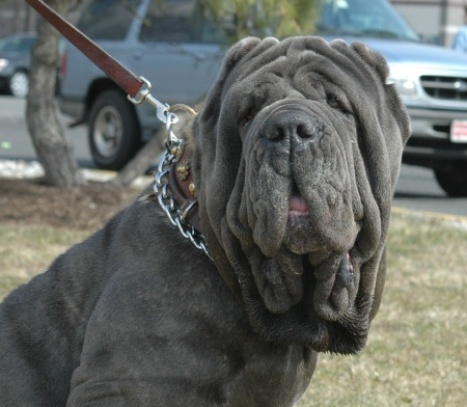 These dogs have a very formidable appearance and it is for that reason that a Neapolitian Mastiff was chosen to play Fang in Harry Potter. This dog has always received the bad rap of being the ugliest dog breed. This is because the dog is hairless everywhere but on the top of its head, its paws and its tail. This presents a very unique appearance. Even though most of its fur is exposed it is actually very sensitive and sunscreen needs to be used if this dog is going to be spending too much time outside. They also need to be bathed and moisturized regularly in order to prevent dry skin and infections. Despite their appearance these dogs all have unique personalities and a big heart that make them great pets. They always draw a crowd and if you own one, you will always have people stopping to inquire about your strange breed. This list is by no means comprehensive and I'm sure there are a lot more in your opinion.